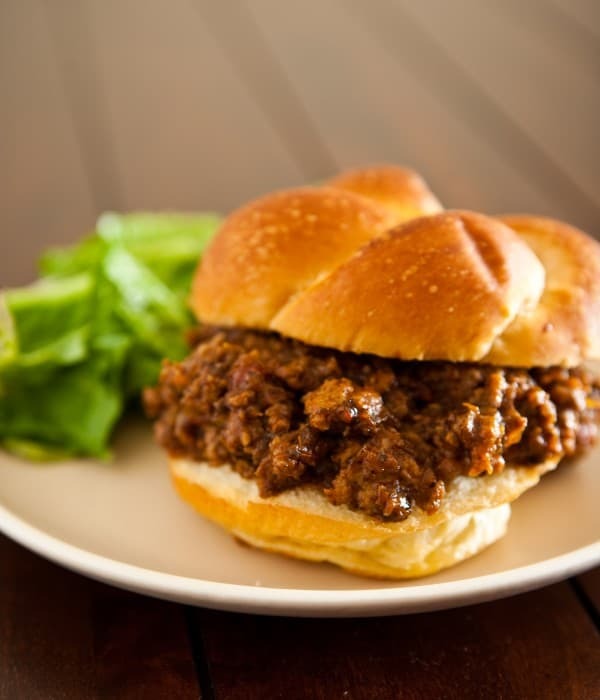 This has got to be my very favorite sloppy joe recipe. It’s so easy! Heat 10-inch skillet over medium heat. In large bowl, mix together beef and pork; add to skillet. Add onions, bell pepper, mushrooms, garlic, salt and pepper; mix well. Cook, stirring frequently, until beef and pork are no longer pink and vegetables until tender. Stir in marinara and barbecue sauces. Heat to boiling. Reduce heat to medium-low to low; simmer 10 to 15 minutes or until thickened. Serve beef-pork mixture in buns.